Tracee is a motivated and result driven independent associate at Coldwell Banker. 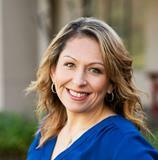 Born and raised in the bay area, she has extensive first-hand knowledge of these and surrounding areas. Her specialty is residential real-estate, working with buyers, sellers and investors. Tracee has continued to stay on top of the latest trends in the market. Prior to real estate, Tracee worked 11+ years in the tech industry specializing in sales and marketing. Her background has successfully crossed over in real estate making her listing advertisements professional and her customer service exceptional. Tracee is always attending workshops and training's to be up to date on everything Real Estate. Tracee cheerfully and consistently provides a high level of skilled service to each client. Working a little differently than most agents, Tracee invests time up front to really listen to her client's wants and needs, educates them throughout the process, and helps formulate a plan to meet their specific goals. As a result, clients have been able to put their trust in Tracee, friends have become clients and clients have become new friends. Her heightened sense of attention to detail allows for a possibly stressful and overwhelming process to become streamlined and more enjoyable knowing that things will be handled quickly, professionally, and perhaps with a bit of humor.